So, you want to remodel your master bathroom. You’ve started dreaming about the perfect colors, style, and design. Your vision includes a beautiful vanity, a stunning shower, and a spacious walk-in closet. The floor and backsplash will be tile. The shower, marble. For the most part, you know exactly what you want, but you’re still balking at taking the first step toward starting — and rightfully so. What if I don’t like the remodel? You’re not alone. 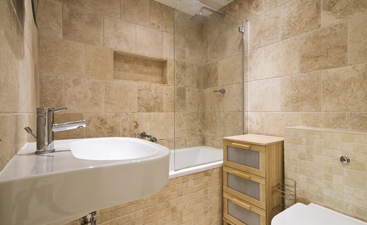 A master bathroom renovation or remodel can be an exciting and daunting task altogether. It requires diligence, patience, and flexibility to pull off. Although a bathroom remodel will test everything in your being, it is also an extremely rewarding process. 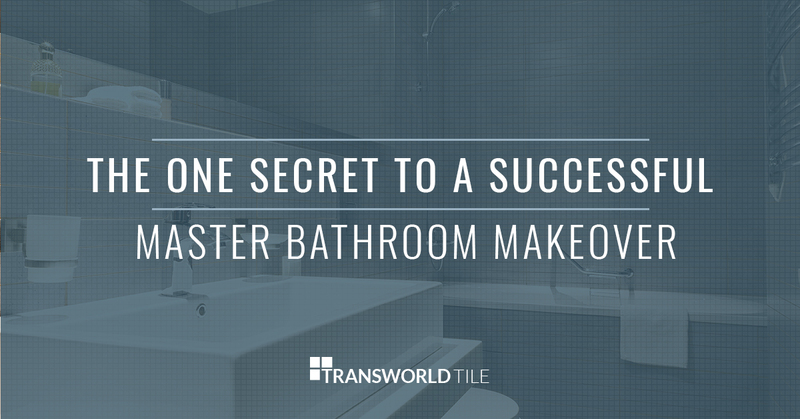 The secret to a successful master bathroom remodel? Whether you want to remodel your master bathroom because its time or you want to remodel it because tiles are falling off the walls and the grout is stained, you have every right to do so. It’s important to understand your reason for remodeling so that you can better approach the project with awareness. Do you want to replace specific features in your bathroom, or do you want to remodel the entire space? The answer to this questions begets more questions, but you need to determine your major goals with your bathroom remodel so that every decision you make moves you toward achieving your goals. You may already know what you want, but you still need to go out and find inspiration. See if you can find the ideal bathroom style and design you’ve been imagining. Take a look at master bathroom remodeling trends. Find designs and styles you do not want. All of this will help clarify what you actually want to do with your bathroom remodel. You frequent your bathroom more than any other room in your house. It may be hard to believe, but take stock of how many times and how often you are in the bathroom each day. For a large majority of homeowners, they are in their bathroom at least once a day for no less than 20 minutes. In most cases, homeowners visit their bathroom no less than five times in a day, spending at least 20 minutes total. This step is important to take your time on. You want your bathroom to feel a certain way. Two important factors that influence how a space feels is lighting and layout. The layout can make a space feel open or cramped. The lighting either dims or brightens the mood. 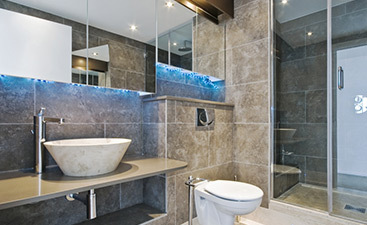 Both layout and lighting can make or break a master bathroom remodel. For most, “white” lighting and an open layout is the best choice to perpetuate the feeling of luxury and relaxation. Your sink, shower, tub, vanity, and more all play a role in how your master bathroom turns out. 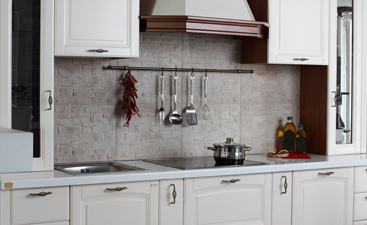 You want to make sure a common theme or thread ties your accessories and fixtures together. For example, the modern vanity you’ve chosen should complement your luxury shower. The mirrors you choose will help with light distribution throughout the room whether from bulbs or natural sunlight. It’s time you put your plan together and find a trustworthy contractor to make your dream bathroom become a reality. Use your common sense. Find a local remodeler. Check online reviews. Ask for references. Ultimately, do your due diligence when choosing a contractor to remodel your master bathroom. Now that you have your bathroom remodeling plan created and a contractor hired, it’s time you decided which tile to use for your bathroom floor, walls, shower, and more. At Transworld Tile, we serve the Thousand Oaks, San Fernando, and Los Angeles areas with top-tier bathroom tiles so that you can bring your remodeling dream to reality. Give us a call for more information or simply visit our showroom in San Fernando, today!